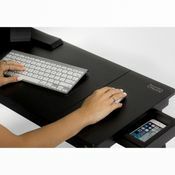 Anyone who sits at a desk for a prolonged amount of time knows what it's like at the end of the day. 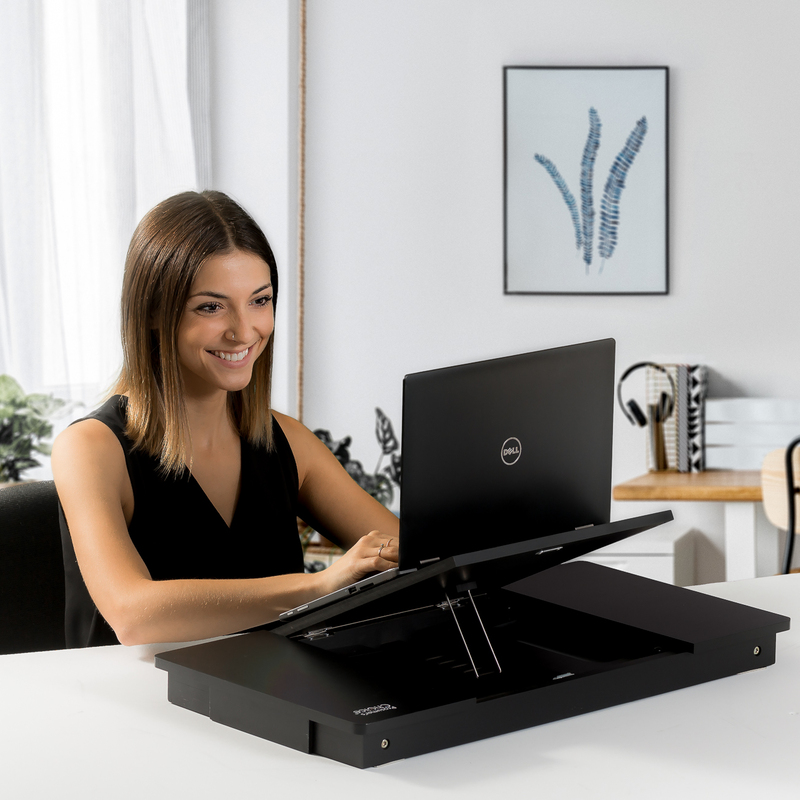 Lower back pain, tight shoulders, tension, and fatigue come along with sitting, slouching and typing all day. Fortunately, more people are discovering the benefits of owning a standing desk, because the health risks associated with sitting for hours at a time simply cannot be denied. 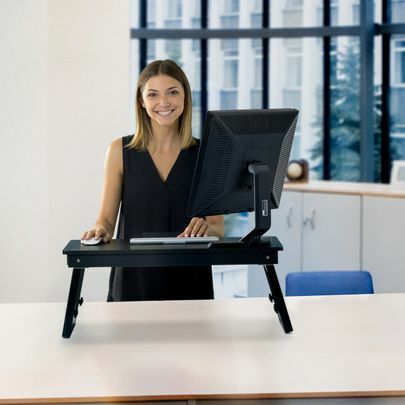 Prosumer's Choice Sitting to Standing Desk Converter with Adjustable Height is ready to transform your desk-chair combo into a dynamic, energizing and back-friendly workstation. 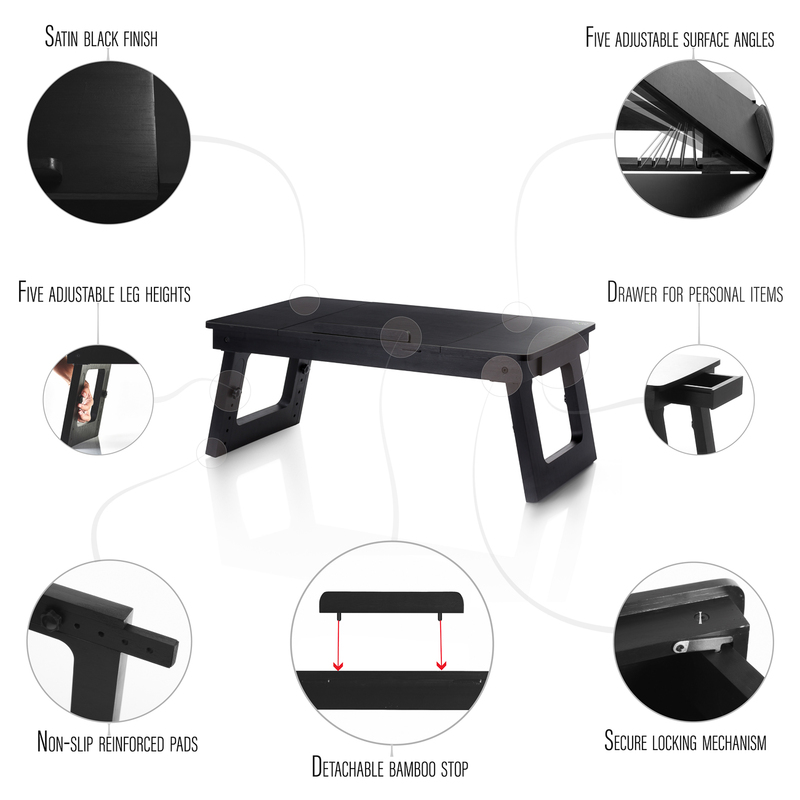 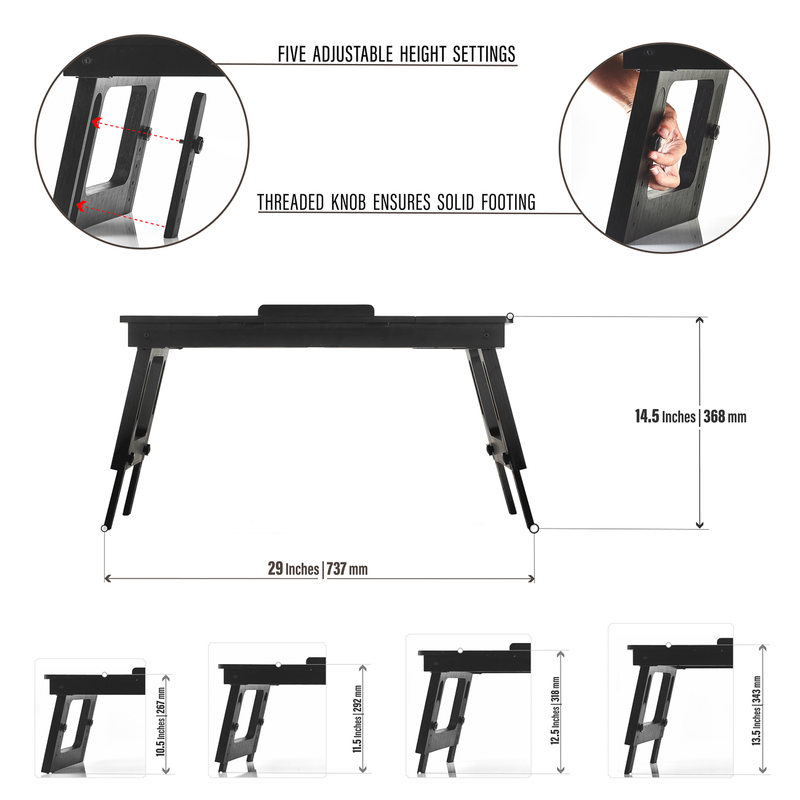 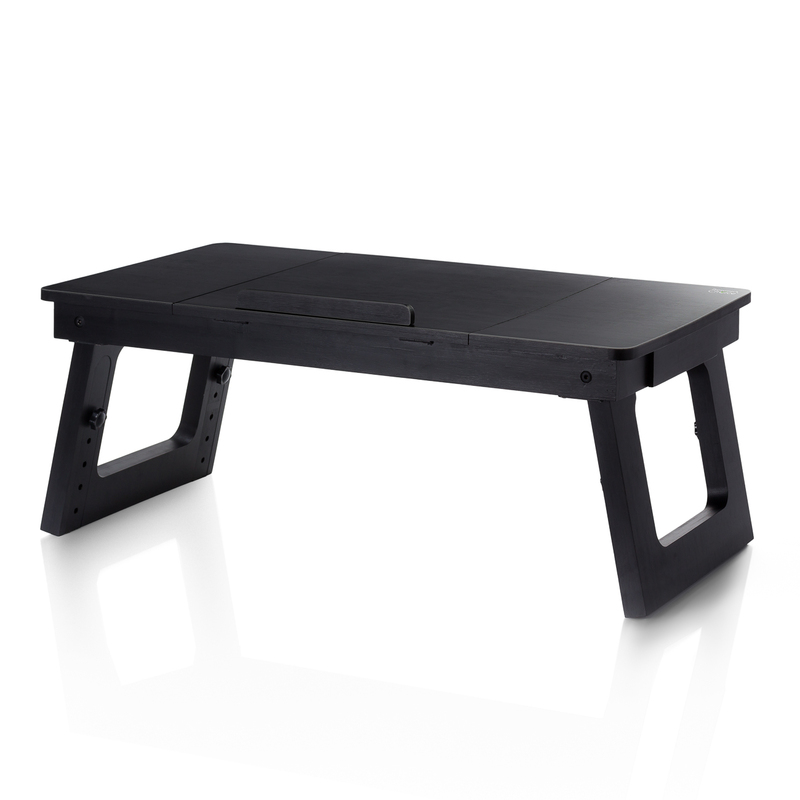 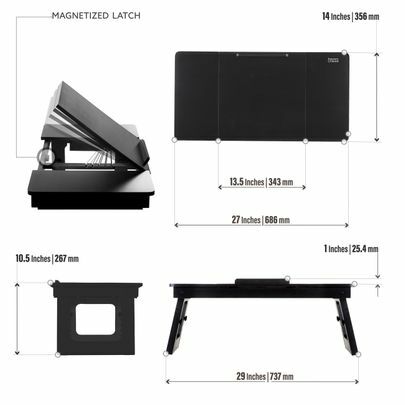 Made of sustainable bamboo, and painted black to match any work e, the ergonomic design of this sit and stand desk includes five adjustable height settings and a spacious desktop that coverts to laptop stand with five adjustable angles for optimal hand, wrist, and eye positioning. Going from a sitting down position, to standing up, or back again, is easy with adjustable legs and tensioning knob controls. When you're ready to stand up and work, simply use the threaded knobs to adjust the legs to the right height, and when it's time to sit, this easy to convert bamboo standup desk folds down to flat for storage. Ideal for the office, or for a home work space, this standup desk converter is portable, so you can move from room to room, or use it as a laptop stand while working on the sofa or even in bed. Designed for statures big and small, and for both lefties and righties, this healthy standup desk even includes a sliding drawer to hold pens, a mouse and other personal items.